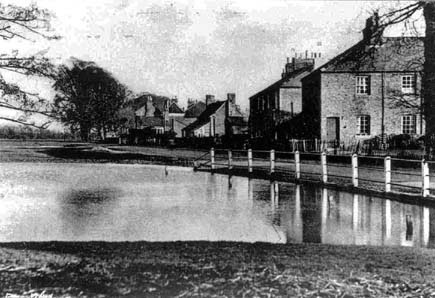 Common Road pond and old houses c. 1920 (upper photo). The large elm tree in the middle distance is at the the junction between Common Road and Sheepcote Road. The Greyhound pub and Thatch Cottage are this side of it. This, the north end of Sheepcote Road, was then a gated farm track with a stile. The bottom photo, taken in the 1990s, shows the pond area infilled and grassed, and the modern Albert Place dwellings in place of the old cottages. 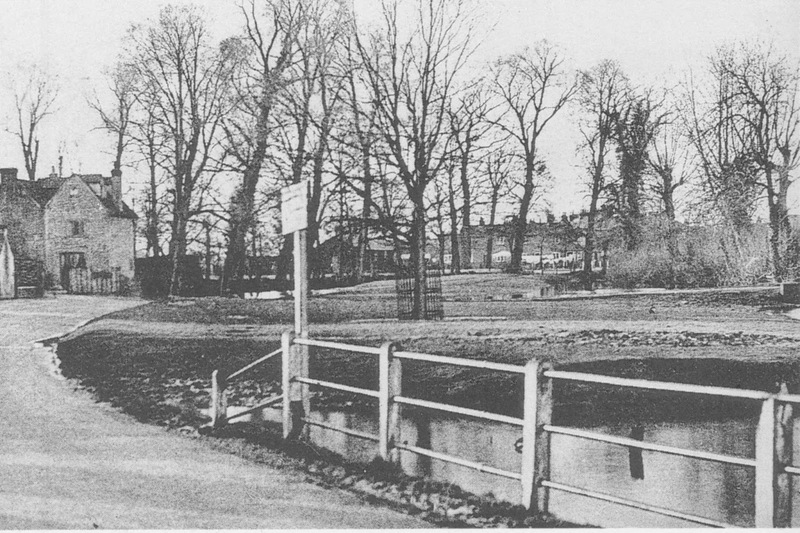 The top photograph of Common Road with the pond was taken in the late 1930s. The Wheatbutts is on the left. 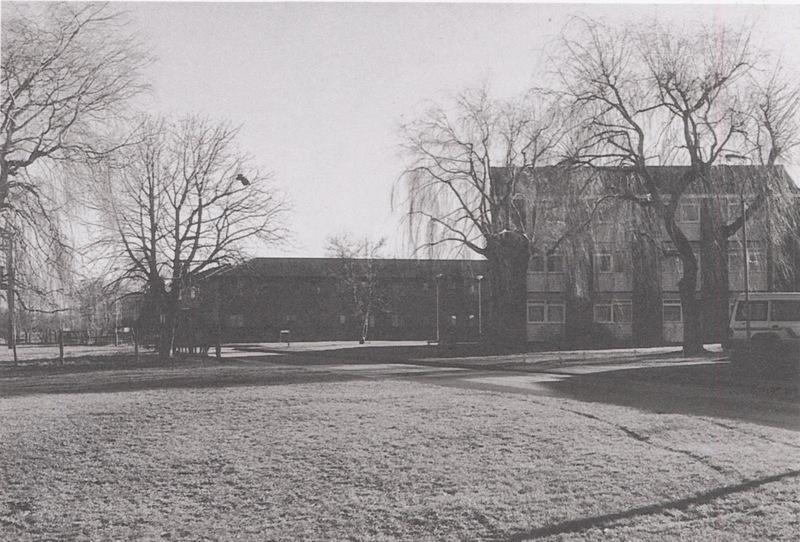 The 'old' Scout Hut in Wheatbutts Field can just be seen behind the elm trees, and beyond them, Bell Farm Cottages (now Bellsfield Court flats). A noted occupant of the Wheatbutts was film star the late David Niven, then a wartime Captain in the Highland Infantry. The ponds were used for fishing, bath tub punting, model boat sailing and skating. 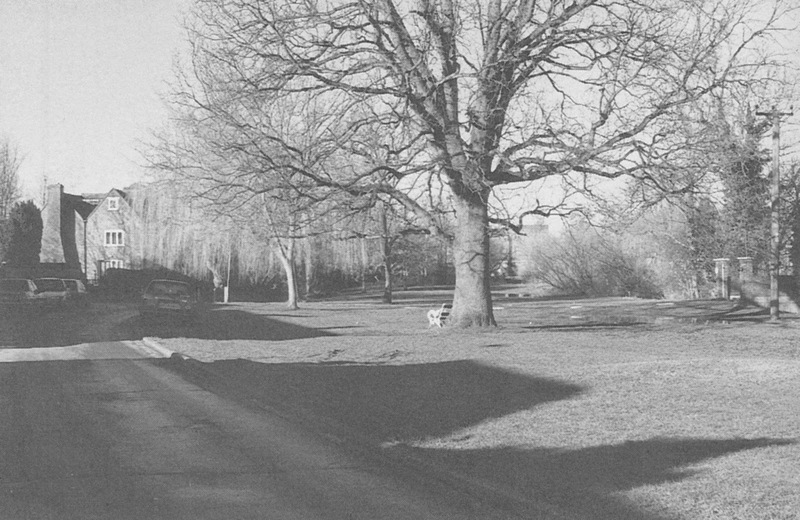 Note the 'young' oak tree (planted in Jubilee Year 1897), and in front of it a mound of ashes from one of the regular November the 5th bonfires. The railings protecting the tree went as part of the WWII recycling effort. The lower photograph was taken in the 1990s. The ponds were in-filled in 1969.